Bishop Ronald R. Mayo is a consecrated Bishop in the United American Free Will Baptist Denomination, Incorporated, where he serves as a General Officer. He is the Administrative Assistant to the presiding Bishop Dr. J.E. Reddick. Bishop Mayo is a native of Harlem, New York. He earned a Bachelor of Arts degree in Biblical Studies and a Master of Divinity degree from Norfolk Seminary & College in Virginia. He earned a Ph.D. in Divinity from the College of Metaphysical Theology in Minnesota. He also has Post Doctrinal Fellowship Degrees in the fields of Counseling, Psychology and Theology. 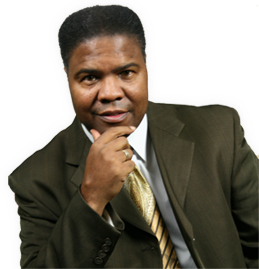 Bishop Mayo is the President and Dean of the United American Free Will Baptist Bible College and Graduate School of Theology in Kinston, North Carolina. Presiding Prelate of Mount Carmel Global Assembly, Cameroon, Kenya & Tanzania, Africa; Los Angeles, California, Clinton & Laurel Maryland, Goldsboro & New Bern, North Carolina, USA. President and Founder of Mount Carmel Incorporated a 501c (3) non-profit organization founded in New Bern, North Carolina. -Chief Executive Officer for the Mount Carmel Education Management Group Incorporated a 501c (3) non-profit organization founded in New Bern, North Carolina. Nominated College President of the year in the 2012 Presidential Who’s Who Among Business and Professional Achievers. Recipient of Honorary Doctor of Humane Letter Degree from the International Circle of Faith College & Seminary, Washington DC. Recipient of Honorary Doctor of Divinity Degree from Freedom Bible College and Seminary, Rogers, Arkansas. Recipient of a “Congressional Proclamation” from Congressman G. K. Butterfield of the First Congressional District of North Carolina. Recipient of the State of North Carolina’s “Order of the Long Leaf Pine Award” presented by Governor Mike Easley. Recipient of the “Mayor’s Proclamation” and the “Mayor’s Citizen’s Medal”, City of Kinston, North Carolina. Recording Artist with Six Mile Records of Charleston, South Carolina and released his first CD entitled, “Here Am I; Send Me.” This received the Gold Record Sales award. Founded the “Faith In Motion”, Television Ministry, New Bern, North Carolina. He is a life time member of the Veterans of Foreign Wars (VFW). He is a life time member of the Disabled American Veteran (DAV). He is a life time member of the National Association for the Advancement of Colored People (NAACP). Bishop Mayo is married to his wife of thirty-one years the former Ms. Connie G. White, daughter of Mr. Leslie and Eldress Shirley White of New Bern, North Carolina. They are blessed with seven children, three daughters, Dorothy, Deirdre and Dreama and four sons, Hector, Ronald Jr., Myron and Josiah. They also have six grandchildren. Bishop Mayo has been given the vision of a ministry that would be an example for the entire world to follow and see what the “Love of Christ” really means and the impact that God’s influence would have on their life’s circumstances. His goal is to live so God can use him to lead God’s people towards a Holy and Spiritual way of life.